0 to 12€ per hour. 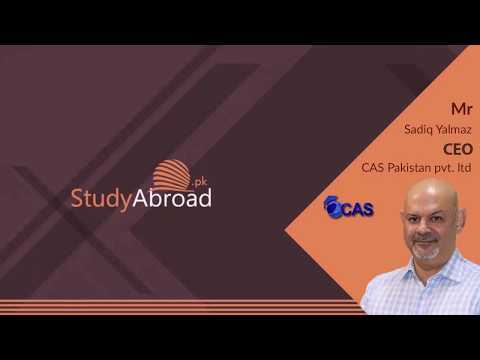 Why Pakistani goes Abroad for higher studies and no foreigner comes to Pakistan for study? Now, study abroad has become the latest trend. Traveling abroad for study purpose has now become an accessible option. But there are too many options or study abroad destinations have faced picking. But, which could be the best one? It is the question every student takes with great consciousness. Denmark offers you an amazing lifestyle because out of the happiest countries of the world Denmark occupies the 1st position. All the people are legally resident there. 40% to 65% of inhabitants of Denmark believe on paying their dues including taxes as a common good for a country. So, as living there in Denmark you can get a safe, healthy and happy environment. Among the best things of the education system in Denmark, the one is that students are offered with small groups of studies instead of fully packed classrooms. Internationally oriented and research combined teaching system offers by many of the Danish Universities. In such a way students get the chances to gain practical skills and they are also provided the connections for jobs in the future. According to Times Higher Education ranking, 2019 and QS University Ranking 2019 Danish Universities grab reasonable positions or rank. Following is the list of top Danish universities in Worlds’ ranking. According to the base of studies origins, there is a number of scholarships and funding programs annually offer to international students. This is the reason Denmark is also considered as the international students’ friendly country. At the time of admission application also take the reviews of scholarships program offered by Danish Universities. The University of Copenhagen is best in offering Governmental Scholarships or funding programs to international students. Denmark is the best habitat of rare animals including wolves, elk, boars, and brown bears etc. The country also offers the best habitat to different kinds of rodents including rabbits, squirrels, hedgehogs, foxes, and the European polecat. There are nearly 300 species of birds exist in Denmark. Under such a situation, you can experience amazing wildlife there as living in Denmark. However, there are animal sciences programs also offered by the Danish universities. So, it could be the best place for those who love nature and are going to commence animal science studies. A historic event The Ribe International Viking Market celebrates annually in May in Denmark. It offers knowledge about the ways used to live by Vikings for hundreds of years ago. Aalborg Carnival is another historical and the largest event celebrates by Danish people. The events celebrate annually in the streets close to Aalborg University. Danish culture also replete with other amazing and cultural events. So, as living there you will go through a fine and history-rich culture. The Country’s unique food culture is another main reason to move to Denmark for study purpose. Junket crumble or ymerdrys are the best things for breakfast. This breakfast consists of smashed rye bread mixed with brown sugar. Other delicious cuisines for lunch and dinnertime you can get. On the traditional events, there are tasty and yummy foods are offered to eat. Denmark offers great love to foreigners. There are a lot of career opportunities it offers to international students. it has seen that from graduates for Danish universities 88% people return back to seek career opportunities in Danish. Through this high interest of the students, you can take the idea about the career opportunities offered by Danish land. All these reasons or facts enable one to call Denmark as the best study abroad destination. What are the top 5 reasons to study in Denmark? Affordable housing and living cost. What is the General undergrad/postgrad admission requirements for study abroad in Denmark? Photocopy of your passport or id card Danish language or English language proficiency according to your selected program. 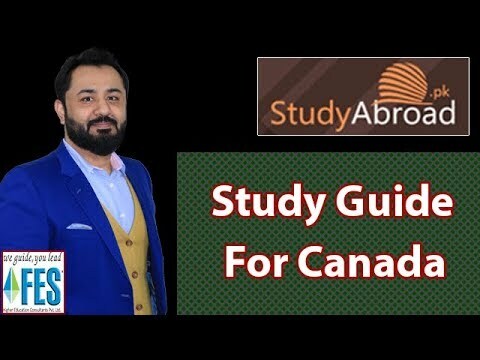 What are the general visa requirements for Denmark study visa? Receipt of payment in college for admission. Photocopy of all previous educational records. Recent picture and other proof of your identity. Complete student visa application form. Bank statement with sufficient fund. 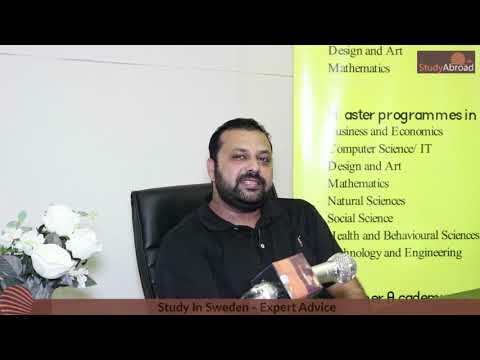 What are annual admission intakes for study in Denmark? In Denmark mostly, the admissions deadline is mid of march and you can fill all the admission requirements before July. whereas the course starts in august or September. However, some universities take some additional intakes in Jan. or Feb. And the application forms are available mostly on the universities site before 2 months of deadline of admissions. Can I get a scholarship in Denmark? The Danish government scholarships under the Cultural agreements. Erasmus Mundus scholarship programs in Denmark. Danish government scholarships for highly qualified Non-EU/EEA students. IIT university of Copenhagen state scholarships. Danish government scholarship at university of Denmark. What is major medium of instruction for courses in Denmark? Mostly international students’ priorities to study in English language. So good news is as an international student in Denmark you can choose between more then 700-degree programmes And 1300 courses taught entirely in English. But if your first language is not English you have to prove your English language proficiency. How costly is study in Denmark? Cheapest degrees fee lies between: 6000 EUR/year. Average annual tuition: 12000 to 15000 EUR/Year. What are typical accommodation options while studying in Denmark? Mostly Denmark universities do not have a tradition for on-campus housing. Mostly students live in Student halls of residences situated some distance from campus but it is not the point to worry Because accommodation in Denmark for students is affordable. Is IELTS mandatory for study in Denmark? Mostly English taught higher educational programs in Denmark requires a high standard of English.So, yes IELTS or TOFFEL is required. After gaining a letter of acceptance what should I do next? Can International student work while studying in Denmark? Yes, as an international student you have a right to hold the job while studying. As well as you can also avail the opportunity to seek full time employment after your completion of studies. How study in Denmark will affect my future career? Denmark is the happiest and strong country to live and study. After your higher education Denmark provide you many opportunities to boost you career and work experience. For job after educationyou must have a work permit. however, student residence PR includes additional 6 months residence after the end of study so that you can find your employment easily. And the best advise is to stay and get job in Denmark.it will really affect in a good way to your career. Can an International student get a PR & Citizenship in Denmark after completion of higher studies? Yes, but after continuously 8 years of living in Denmark a person can apply for permanent PR or citizenship.